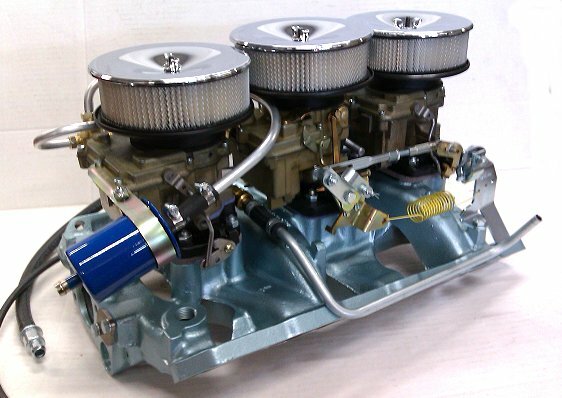 will fit any 1965-71 Pontiac V8. 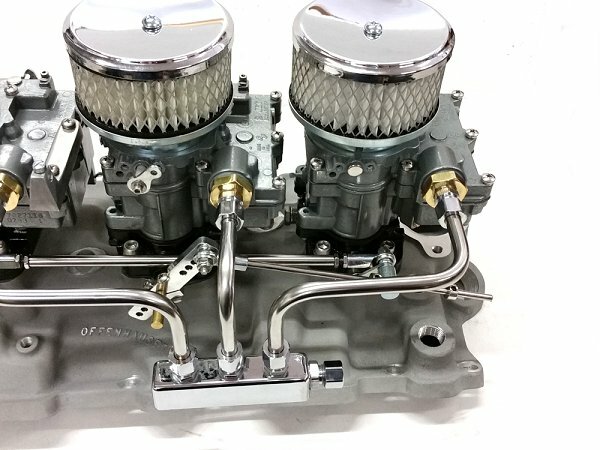 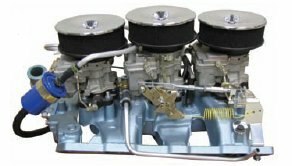 Custom rebuilt built carburetors with longer throttle shafts to accommodate the tri-power linkage .With this setup it only idles on the center carb and the outer carbs kick in like secondarys so this makes adjustments very easy . 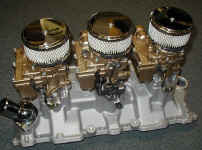 *Check your local laws about use on pollution controlled motor vehicles. 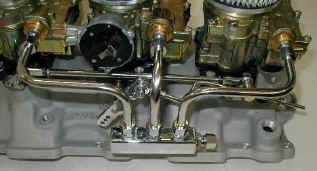 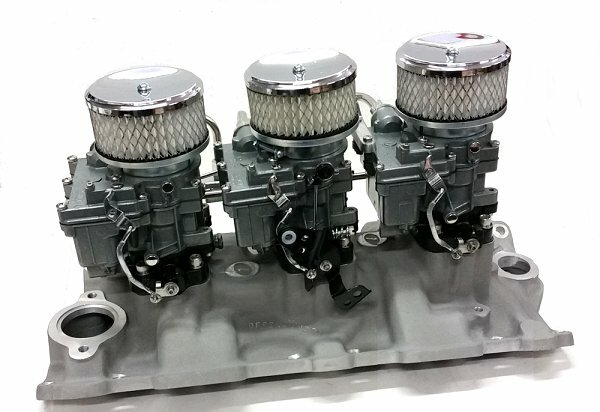 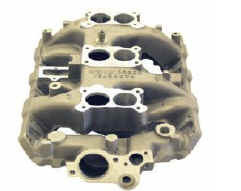 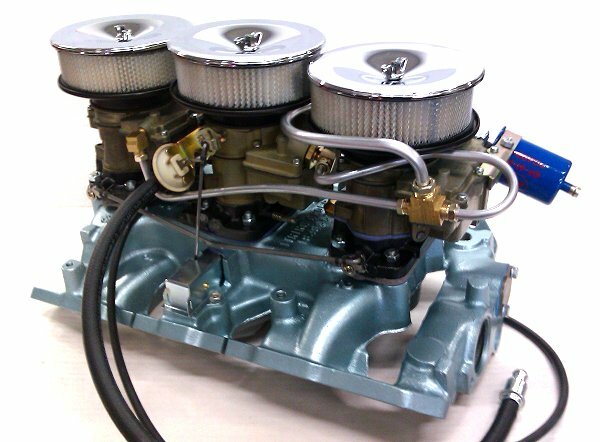 ** Carbs Are built using as many new parts as possible most include new tops and new bases .